Established almost 20 years Andy’s of Naas Coach Hire is without doubt one of the best known and respected coach providers in the Greater Kildare area. It all began when husband and wife team Andy and Eilish bought a Volvo 740 car back in the early 90’s when Andy began as a part time taxi service. The business grew rapidly and in 1996 Andy was able to leave his job as a haulage driver. It was only a matter of time until he purchased his first bus. Since then it has evolved from a one car cab firm ‘Andys Cab’ into ‘Andy’s of Naas’ with a fleet of 6 coaches. We are continuing to expand with daughters Jenna and Danielle now involved. 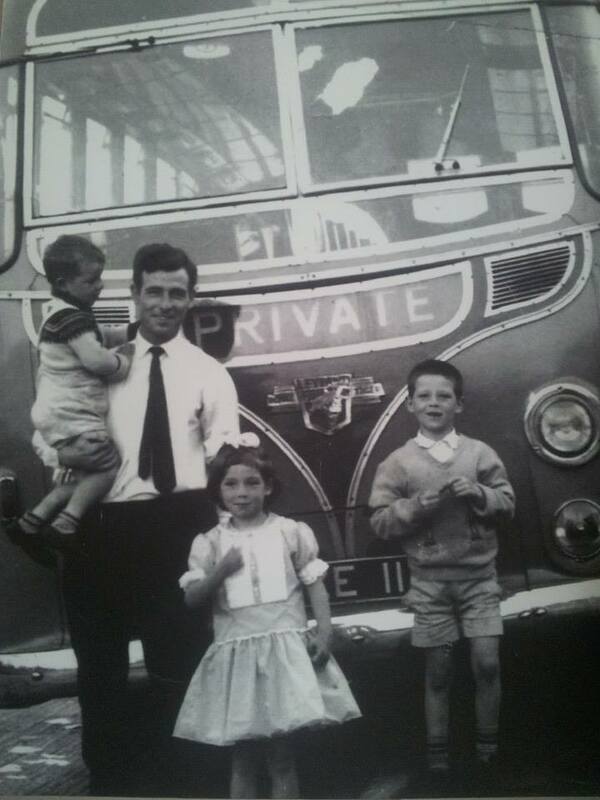 There was an element of inevitability that Andy would end up as a coach driver like his father before him who worked as a bus and truck driver for all his adult life. Eilish however needed some persuading to get involved but now thrives in her position as office manager (The Real Boss). Our staff are the heart of the business whilst our fleet is the back bone. Our friendly drivers are best there is. There is no driver behind the wheel of our vehicle with less than 10 years coach driving experience. It is reasonable to say they know practically every road across the length and breadth of the country. Our fleet range from 8-55 seater’s and are of impeccable standard. We are continuing to grow and expand and look forward to exciting times ahead in 2015. Andy in his father's arms.